Kampala — Finance Minister Matia Kasaija has directed Uganda Revenue Authority (URA) to work with the Solicitor General to recall the Value-Added Tax (VAT) Amendment Act, 2018, following protest by manufacturers and the private sector. In an August 16 letter to Ms Doris Akol, the URA commissioner general, Minister Kasaija acknowledged that new VAT provisions that took effect on July 1 had run into implementation headwinds. "I am also directing you to come up with appropriate amendments to this measure, in consultations with relevant stakeholders for my consideration and further necessary action," the letter read in part. The minister gave the parties a fortnight, which lapses this week, within which to submit the new proposals for his consideration. Whereas the tax body said it could only comment on the matter today, a senior Finance official yesterday confirmed that the minister has asked URA to consult broad range of stakeholders to agree on feasible recommendations. The ministry oversees operations of URA. Ms Akol earlier petitioned Minister Kasaija over "foreseeable challenges" with implementation of the section 3 of new VAT amendments, a concern that both the Private Sector Foundation Uganda (PSFU), and Uganda Manufacturers Association brought to the minister's attention for action. 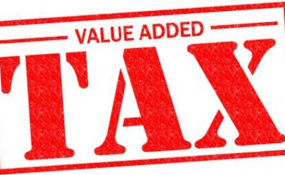 One impugned VAT law provision is a duty imposed on the Finance Minister to designate people who will withhold tax on a payment of a taxable supply who in turn should remit to the URA fifty per cent of the tax payable. Mr Gideon Badagawa, the PSFU executive director, said that they will work with URA to ensure changes to the VAT law do not adversely affect business.